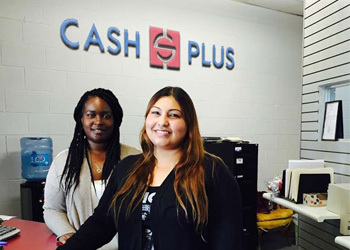 Each Cash Plus family financial service center is a locally owned and operated franchise that’s part of one of the hottest franchised retail networks around. The Services page has more on how we meet the needs of our customers and keep them coming back. Our News page features the very latest happenings, of course. Our Franchise Info section has a wealth of information on this much-needed business that’s about as close to a bank as you can get in franchising. Cash Plus thinks it’s important for you to know a lot about a company you’re considering entering into a business relationship with. This is our story. I’m Craig Wells, president of Cash Plus, Inc. If you’ve found this page, you’ve probably already discovered the fast-growing alternative financial services industry. So, what’s it all about? Is this the kind of business that’s right for you? What do you need to know to make the right decision? Our little story has some answers. Not so long ago, I was in your shoes looking for a franchise. I wish I had known about Cash Plus back then, but I didn’t. So I cut my franchising teeth in a different industry. When I sold my franchise, I felt I knew a lot about what a franchise opportunity should be. Unfortunately, more often than not, I also found that many franchisors were more interested in making a quick buck than making a long-term commitment to the success of their franchisees. This is where I drew the line and vowed to build a franchise business devoid of hot air, unscrupulous claims and greedy speculations. Having researched dozens of business opportunities, it became obvious to me that bathtub resurfacing, doughnut making, burger grilling and other over-worn business concepts were not what I wanted to be involved with. Stumbling into the financial arena, I learned that more than 155 million Americans fell into what is described as “the underserved” – the paycheck-to-paycheck folks. We’ve all been there at some point or another. Banks and other financial institutions, despite their public relation campaigns, have no desire or real plans to serve this segment of our population. They’re fixated on high-income generating customers and hitting them with ever-increasing fees. Frankly, that’s good for our business. I also learned that the traditional banking institutions were treating our customers poorly. Customer service ranged from dismal to disrespectful. To my mind, that’s totally unacceptable. Why not treat every customer with respect and go the extra mile to meet his or her needs? I don’t mind telling you that I’ve invested a lot of time and money to turn my dream into a reality. More than a decade later, many of our franchisees own multiple stores and are realizing their own dreams. It doesn’t get much better. Our Kings & Queens customer service program reflects this vision. And it works; delivering a top-notch customer experience keeps them coming back over and over again. It’s an innovative program that, to date, escapes our competition. Toot our horn? You bet. The fact is, no one else has spent the dollars and resources needed to address the plight of the “underserved” and turn it into a solid franchise opportunity. We helped put the fast-growing payday advance loan concept on the map. We also pioneered the design of a new retail facility to make our customers feel welcomed, a big boost in lifting the industry above its dingy iron-bar storefront image. As you explore our site, you will also discover that we’ve innovated a number of strategically important programs that set us apart from the competition. Brand-building, hard-hitting community marketing, customer service and loyalty programs, owners and tellers incentive programs, our Pump-Up-the-Profits strategy and much more. We’re obviously proud of the outstanding SUCCESS MACHINE we’ve put together. And it’s not just our opinion. The independent Franchise Research Institute awarded us their “Franchisee Approved” seal based on their own independent survey of Cash Plus franchisees. Speaking of franchisees, we’re proud to be among the top 50 franchise companies in the Franchise Business Review Franchisee Satisfaction Awards. In fact, we’re the only franchise company in our industry to earn one of these awards. But here’s what matters most: these ratings are derived from actual surveys of franchisees. Whatever you decide to do with your next business adventure, you need to do a lot of homework. In the final analysis, I assume that you want a business that’s easy to operate, provides an opportunity for financial rewards to take care of your family’s needs…and that fits with your road map for what you want to do with your life. So, what are some of the issues you need to be informed about with which to make an intelligent decision? Like all successful innovators, Cash Plus has imitators. I strongly urge you to check out other franchise companies in our industry. Do claims of making a million dollars a day from day one as promised by certain competitors make sense? Does “don’t let this one pass you by” grab you? How about the silly old “one-thousand-in-one business” concept? Check everybody else out. Compare, do your due diligence, ask a million questions. When you’ve got what you think are answers to your most critical “what should I do?” questions, call us and we’ll help guide you in meeting your goals, whether in our industry or elsewhere. One thing you’re going to discover is that some franchisors in our industry are publicly-owned companies. They brag about being the one and only public company to do this or that. Please understand that I don’t have anything against public companies; as an investor I’ve owned stock in some real winners. But ask yourself who comes first in a public company. Is it you as a franchisee, someone who puts all of his or her marbles on the line? Or is it the shareholders, folks just waiting on the sidelines to cream the profits franchisees made for them. Maybe you like the idea of being in a chain where you’re that far down in the pecking order, but I sure wouldn’t. What do other franchisees have to say? Our franchisees will be your peers. They will have the real low-down on the business they’ve invested in. Real people with real perceptions of what it’s all about – the good, the bad, the ugly (with apologies to that famous Clint Eastwood spaghetti western). To get a head start on this process, read what some franchisees have told us: WHAT FRANCHISEES SAY. Ask yourself if you can really see yourself in this business. Is it a fad business or a business with a long-term future? Are there enough customers who need its services? Does the franchise company have a plan for getting you those customers? Does the company have a long-term strategy for building your business? Answers to these tough questions will become obvious to you as you explore the opportunities that are available to you. One thing is for sure; Cash Plus is not a new kid on the block. We’ve been around for more than a decade helping transform a tired, funky business into a mainstream “today” explosive opportunity. I could go on forever, but it’s actually better if you see with your very own eyes all the ways we have of making you successful in your Cash Plus business. As a first step, I hope you’ll check out our SUCCESS MACHINE page if you haven’t already done so. And be sure to check out the other pages in our FRANCHISE INFO section. As a matter of fact, check it all out – every page of our site and everyone else’s pages, too. By all means, do your homework. We want to make your business adventure as pleasant of an experience as we can. Be sure to check out THE NEXT STEPS page to learn more about our process and the fine people who will help you through it. Then, for a no-nonsense evaluation of what you want to do and what we can do to help you get there, pick up the phone and talk to our Franchise Development people (1-714-731-2274). They understand what it takes to run a business and can help you determine if Cash Plus is for you. Whatever you do is all up to you, of course. 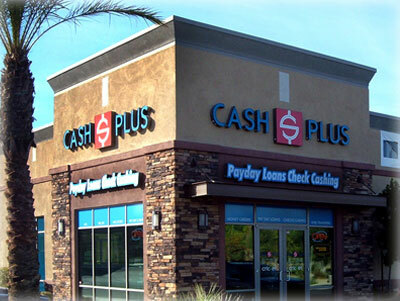 For my part, I want to thank you for visiting our website and checking out the Cash Plus franchise opportunity. If you like what you’ve seen so far, I’d love to meet you personally at one of our Discovery Days.